Realme, the smartphone brand that specializes in providing high quality products for youth, lannounced the launch of its flagship of the year, Realme 2 Proat Amity University in Noida today.realme 2 Pro, is set to become a benchmark in the mid-range segment owing to its ‘Max Power, Max Style’ proposition. The device carries a formidable Snapdragon 660 AIE processor and comes in three variants; 4 GB RAM + 64 GB ROM at INR 13990, 6GB RAM + 64 GB ROM at INR 15990 and 8GB RAM + 128GB ROM at INR 17990 . Realme 2 Pro , with a super large and marvelous view, 6.3-inch Dewdrop Full Screen and the highest screen-to-body ratio of 90.8% in its segment, will be exclusively available on Flipkart from October 11, 12:00 AM onwards. The phone will be available in three trendy new colors- Blue Ocean, Black Sea and Ice Lake. 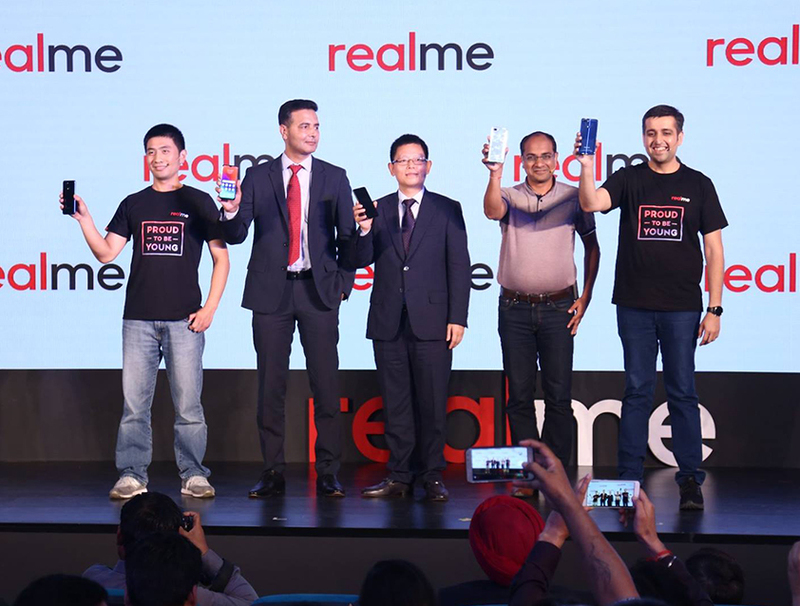 Sky Li, Global CEO of Realme, "I have been deeply touched by the love and strong support our fans have shown for Realme. We will continue to bring more beautiful designs, high-quality products and exceptional services especially for Indian youth." Realme, born from OPPO, now an independent brand targeted at global youth, had recently released its first brand film with a new brand slogan ‘Proud to be Young’, epitomizing the brand and its global positioning. The film emotes and evangelizes the brand proposition of Realme- a brand of the young, by the young and for the young. Realme 2 Pro is equipped with up to 8GB RAM and 128GB ROM, and supports 256GB microSD card extension. It comes with LPDDR4X four-channel memory, that increases the processing frequency, consumes 40% less power, starts apps faster, and runs multiple apps more smoothly. With 128 GB storage users can have access to 27000 photos or 200+ movies in this phone. Realme 2 Pro comes with 16-megapixel rear dual camera, with the primary camera equipped with IMX398 sensor that supports dual-core focusing, F1.7 aperture and 6P lens to capture every wonderful moment. The 6P Lens, is more efficient in gathering light than 5P lens, with more powerful parsing capacity and higher contrast ratio. The powerful AI performance builds into realme 2 Pro such features as multi-frame noise reduction, smart exposure, the "portrait" mode that supports five lighting effects, AI scenario recognition, and AR sticker photographing. These features let users take good and fun photos while allowing them to present their style with ease. Selfie, the focus of users realme 2 Pro comes with 16-megapixel front camera, and F2.0 large aperture that brings more light feed, ensuring more distinctive selfie pictures; realme 2 Pro presents the brand new AI Shot feature that precisely recognize 296 facial identification points and offers 8 million personalized beautification solutions. The AI learning, intelligently remembers and learns the picture editing habits of the user in the local album, and then applies such habits while taking photos.